Rite in the Rain All-Weather Durable Clicker Pen - Black - No 93K is currently selling at $12.94, approximately $0.41 higher than average. With a lowest price of $12.27 and an average of $12.53 it is selling on the high end of its usual range. Price volatility is 16.2% (meaning it changes all the time), so the price will most likely drop in the next few hours. Right now this product is a recommended 'ok deal'. 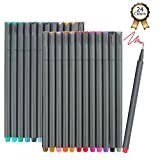 Compare the current price, savings (in dollars & percent) and Buy Ratings for the top Pens that are closely related to Rite in the Rain All-Weather Durable Clicker Pen - Black - No 93K. Here is how Rite in the Rain All-Weather Durable Clicker Pen - Black - No 93K compares with other leading Pens. Pencils will work great on Rite in the Rain All-Weather Paper but sometimes you need a pen. 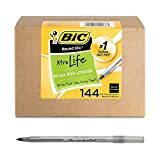 This All-Weather Plastic Clicker Pen writes on wet paper and upside down, the pressurized ink cartridge performs in temperatures from -30F to 250F. 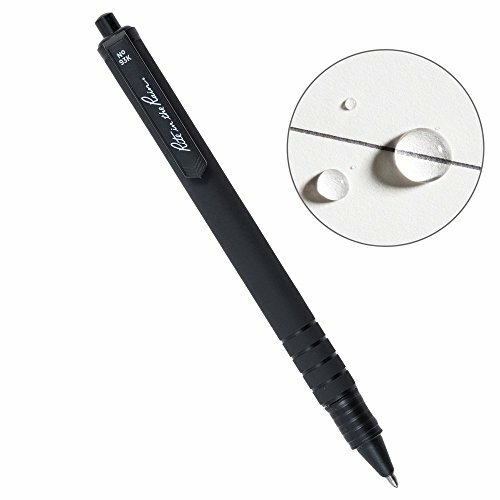 Pen holds steady in wet conditions with the rubberized grip. The ink won't leak, evaporate, or blow up in your pocket. 5 1/4" long, with a Barrel Diameter of 3/8". Black barrel, grip channels near tip indicate ink color. Black ink. Refill cartridges available. FeaturesWRITES THROUGH: The permanent ink writes through water, grease, and mud without clumping or smearing.PRESSURIZED CARTRIDGE: All-Weather cartridge is pressurized, writes in temperatures from -30F to 250F, under water (up to 35 ft), and any angle.PROPRIETARY INK: The ink and delivery system used exclusively in Rite in the Rain Refills will write without skipping in extremely wet conditions far better than other comparable all-weather pens.INK DELIVERY: Tiny pockets in the pen's tip will deliver ink in the worst conditions without allowing water or air back into the Cartridge.